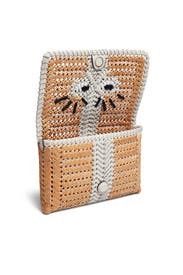 This lightweight woven clutch by Anya Hindmarch features a playful set of eyes peeking from behind a front bow. Carry this cutie or wear it around your wrist for effortless wearability. 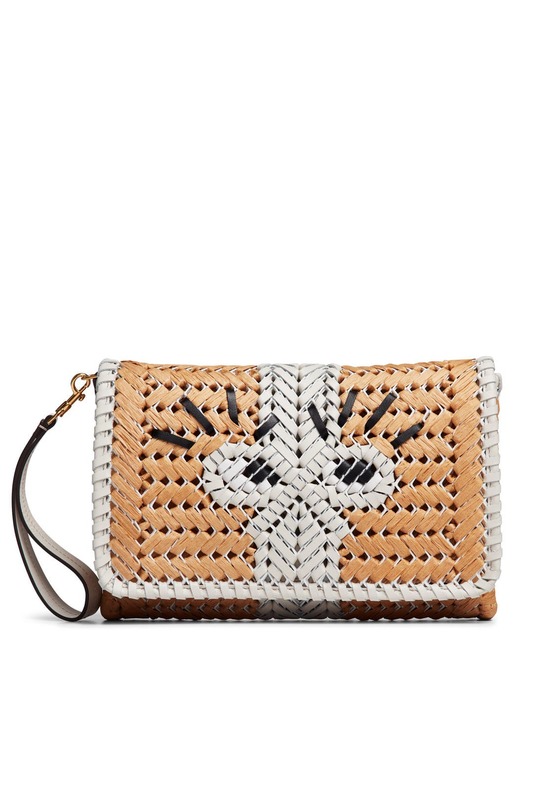 Woven straw clutch with chalk bow and eye detailing. Foldover magnetic closure and interior card slots. 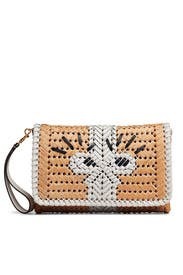 Wristlet strap. 5"H x 8"L x 1.25"D.